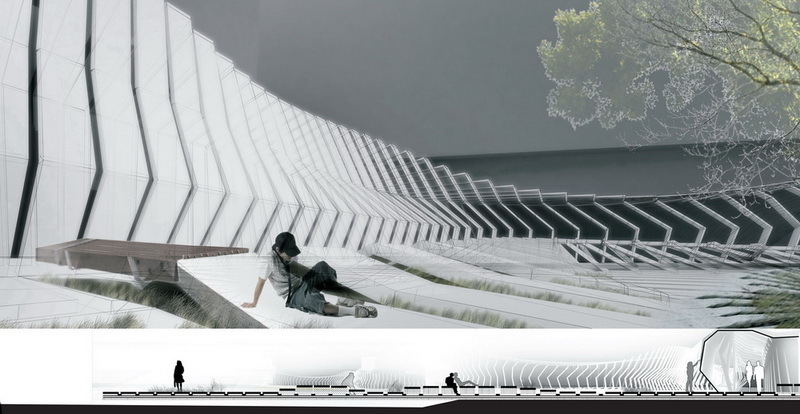 This ephemeral and flexible structure is placed on plateau in front of Generalstab building. It’s an urban wall, which is meant to enable secure walk for pedestrians in front of ruined building. This wall is not a barrier it’s a multifunctional exhibition space consisting of intimate and public, open and closed parts. 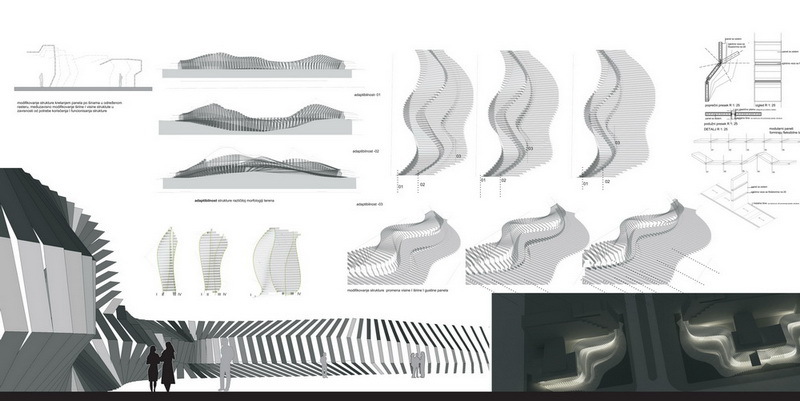 The Wall is constructed of vertical flexible stripes which form these spaces. Movable stripe panels are on rails. By changing their position, gaps and angles between stripes, it’s possible to create different shape and function of the Wall.